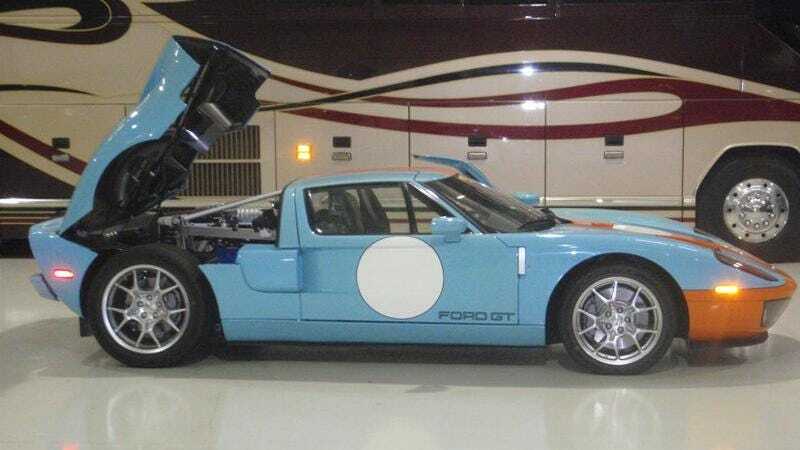 Is This Guy Selling 15 Undriven Ford GTs? It's one thing to keep a single example of a desirable car in as-delivered condition in hopes of cashing in after production winds down. It's another to have fifteen pristine brand-new copies of the fastest cars Ford ever sold become available all at once. Seller maindrainboat is listing what at first looks like one perfect, undriven 2006 Ford GT on eBay. It has 38.4 miles showing on the computerized odometer. The plastic is still on the passenger's seat and the delivery stickers are still in place. It is for all intents and purposes a brand new untouched car which has been sitting in a climate-controlled warehouse since its original purchase. As of this writing it has a top bid of $200,100. This is what happens when you think for the long term.